Page Template is usually used for static pages. You can set any of the pages to use the Page Template (page.php). The same option exists when creating a post. Page Template in Joomla should not be confused with Post Template. The main difference between them is that Page Template does not contain any metadata like Author, Published Date, Hits, Category, etc. 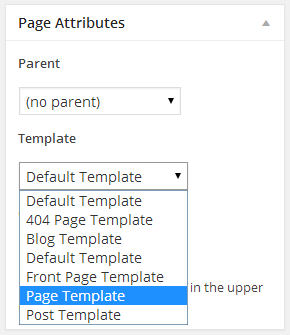 Once the metadata is disabled for the article from the Joomla back-end, the article will have Page Template styling. If at least one post header icon is enabled, the article will have Post Template styling. Hover over the Content tab and select Article Manager >> Add New Article. Enter the details of the page and press "Save & Close". Hover over the Menu tab >> choose a menu >> Add New Menu Item. Select Single Article in Menu Item Type. Press "Select Article" in the Required Settings block to choose the necessary article. Hide all article metadata under the Article Options. Click "Save & Close" to save the menu item. Follow the Create a New Page article from Magento website to create a page. The page created in the way described in the article will have Page Template styles. Hover over the Preferences tab and select the CMS option from the menu. Click on the green "Add New" button. Enter the details of the page. 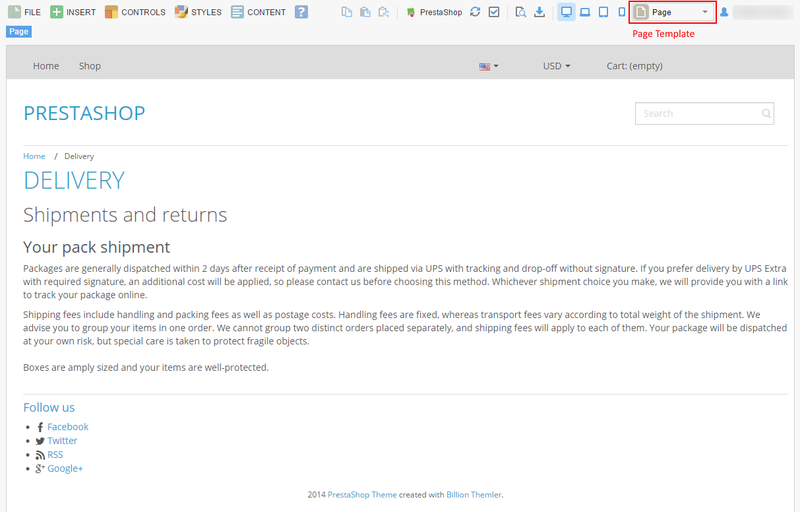 Be sure to select the "Enable" radio button to display the page, otherwise PrestaShop will hold it as a draft copy. Click the "Save" button on the top of the screen.